I thought I was so clever on Tuesday! I said I had checked the sweater a couple of times and made sure it was not twisted. To be fair, I had. Problem being, I hadn’t checked that closely and I had checked it late at night. A few rows in Tuesday evening, I realized there was indeed a twist and that I would have to start again. Hence no progress post yesterday about the sweater. I had to rip out the whole thing and recast-on. I caught back up to where I was in a couple of hours, and I can confidently say, this time, that there are no twists. How annoying are twists? With the cowl, I was mildly irritated at the twist. I had thought I checked the stitches perfectly, only to find out 10 or so rows in that I had messed up. Then the sweater, same thing. Prior to these projects, I had never twisted my stitches. What’s the best way to avoid this mistake? Does anyone have any tricks? Anyway, the sweater is moving forward quickly(ish) now. 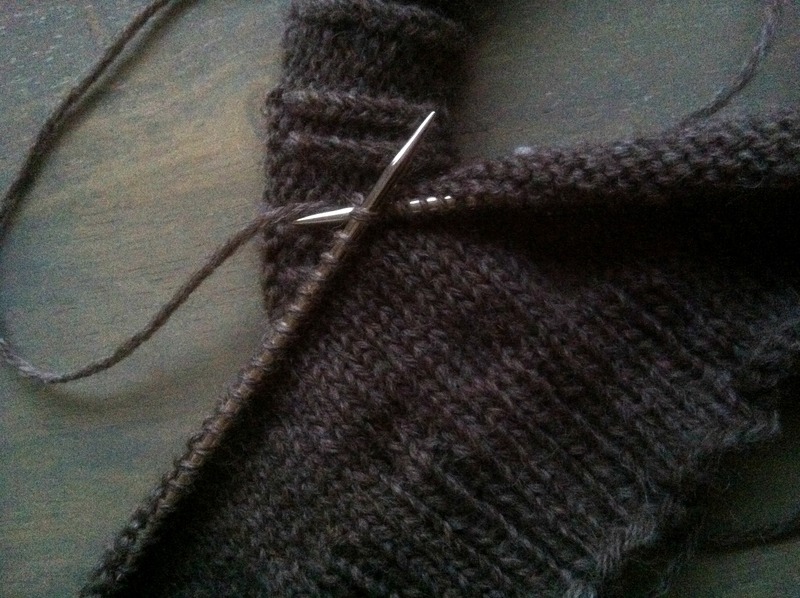 I sat down with the last episode of Torchwood on Netflix and then the last two of Downton Abbey and happily knit away. It’s probably about 2-3 inches long now, but I’m bad at guestimating, so I could be wrong. Tomorrow I’m expecting a fun package from Lion Brand. There was (or could still be, not sure) a clearance on this package of large size circ plastic needles. They were originally nearly $100 but marked down to $20. Along with those, I purchased a skein of Sock-Ease to try it out. I need to get back going on my sock project, so hopefully new yarn will help me get started. If anyone has any suggestions about nice, not overly expensive sock yarn I should try out, let me know! I’m starting with the couple of brands I know, but I’m completely open to trying new things.